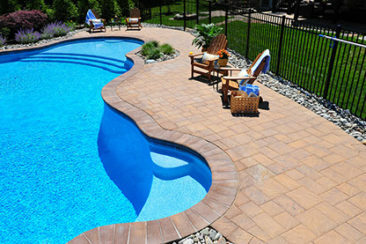 This Furlong, PA in ground pool was designed to fit perfectly in this back yard. The pool deck was extended so that sun bathing chairs could be facing out into the open views of the land. The natural wooded area of the back of the property was softened by various rows of colorful plantings. 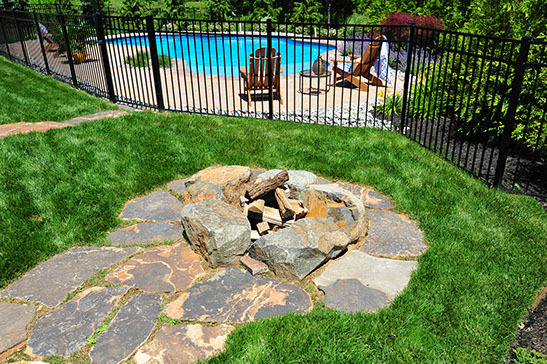 An aluminum fence surrounds the pool following code. A small pocket of grasses and river jack stone add beauty to the pool side. This in ground pool is surrounded by EP Henry Bristol I pavers. There is a border of river jack stone separating the pool deck from the mulch. The view of the pool from the second story deck shows how nicely this pool makes use of this property's back yard space. 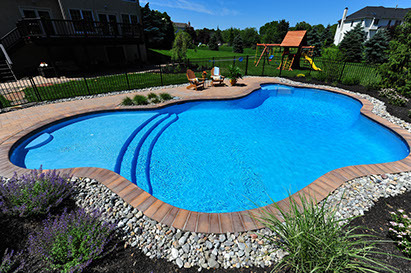 This in ground pool features a sunshelf and a pool seat in the deep end. 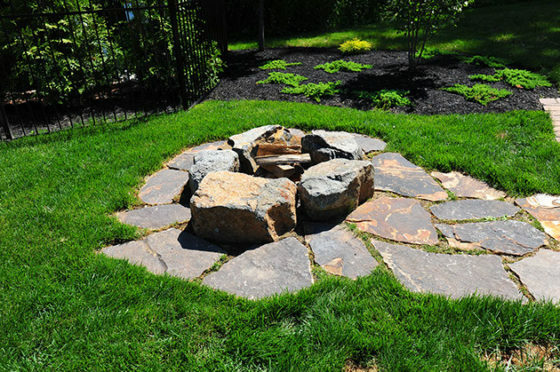 A natural boulder fire pit sits along side the pool. An irregular stepping stone path leads one from the deck to the fire pit. This is a great place to gather with friends and family with the warm glow of a fire.